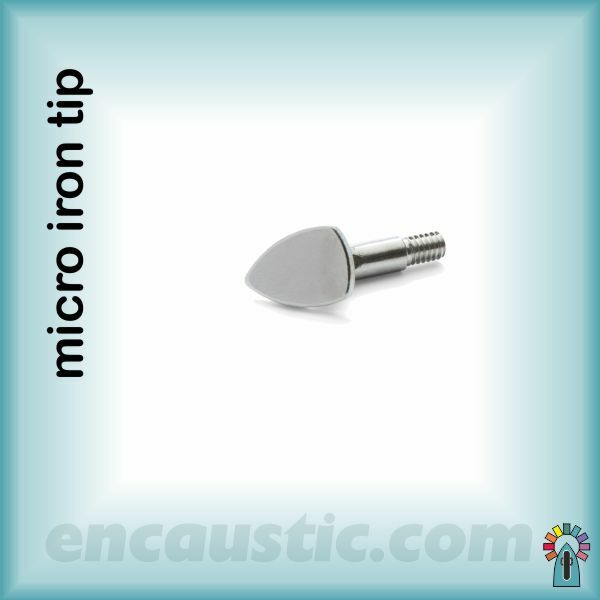 The micro iron tip is a finger-nail sized iron shape. 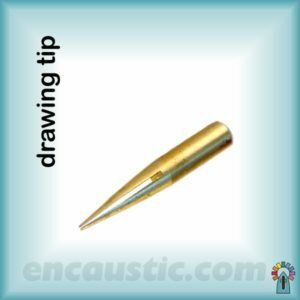 It is very useful for working inside larger images. 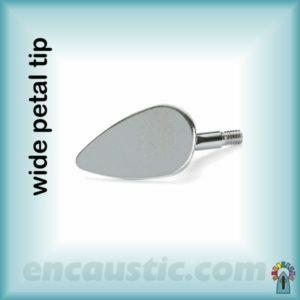 Also nice for butterfly wings, flower petals, and pattern making. 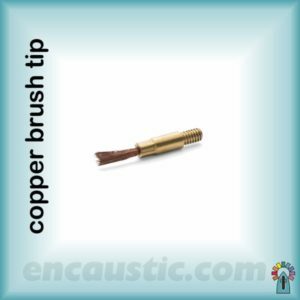 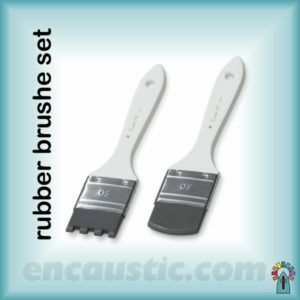 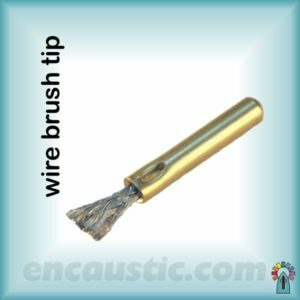 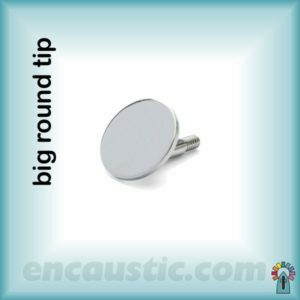 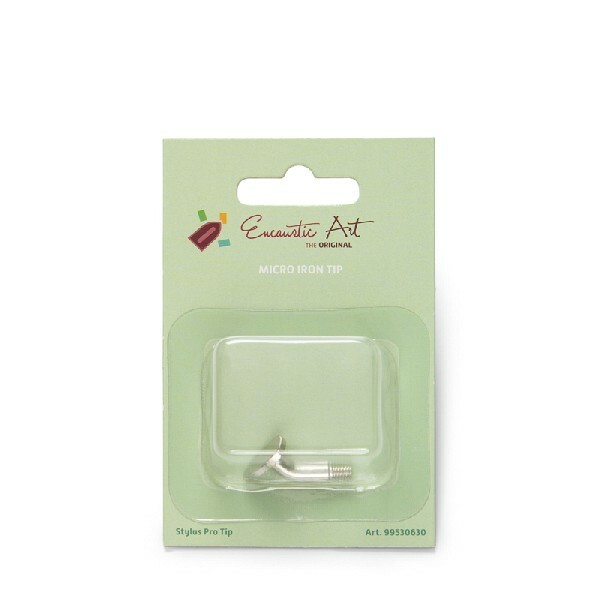 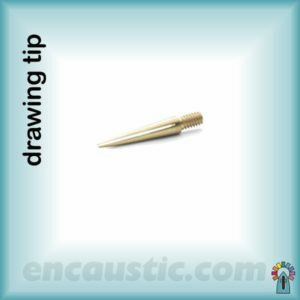 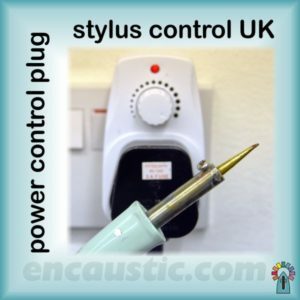 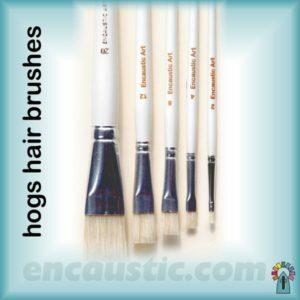 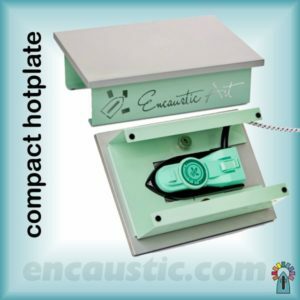 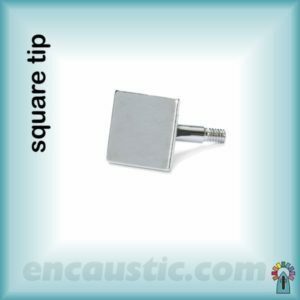 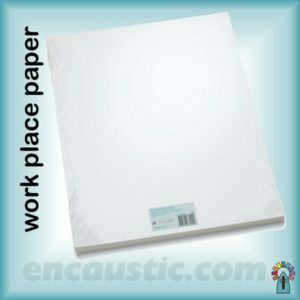 It is threaded to fit the encaustic art Stylus Pro wax graphics tool. 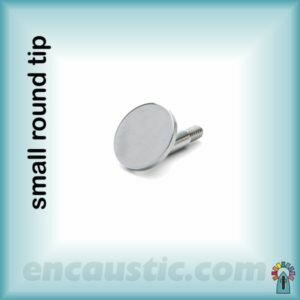 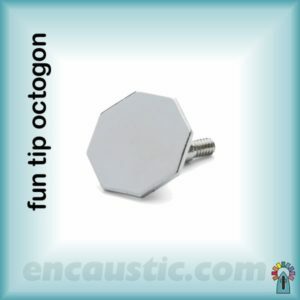 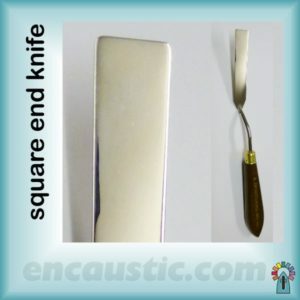 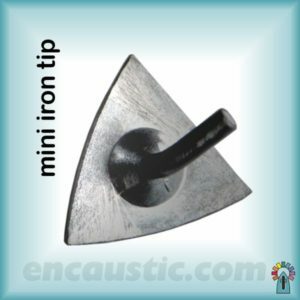 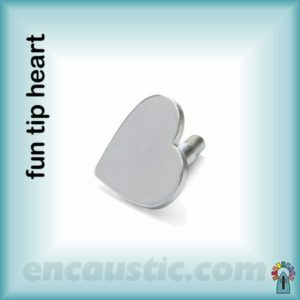 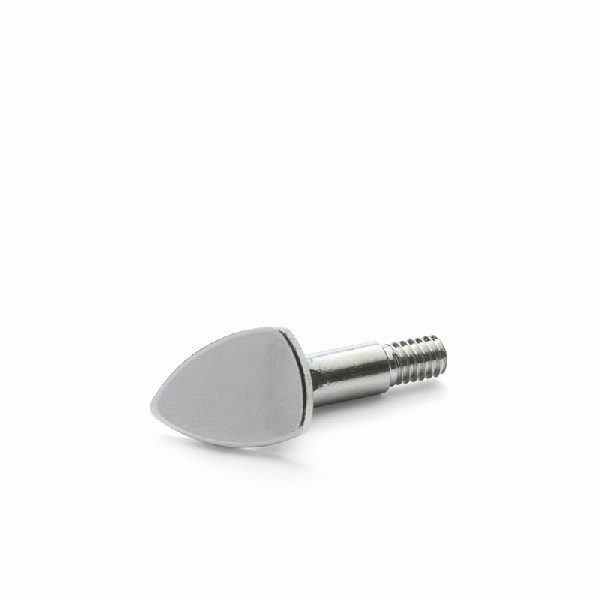 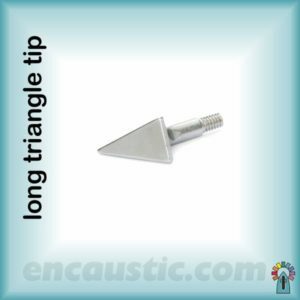 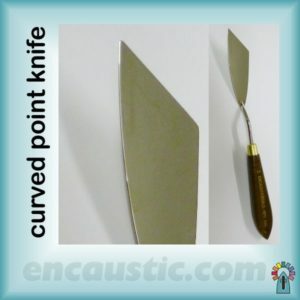 This is a popular and versatile little tip with a good point as well as a bit of curved edge and a bit of straight edge. 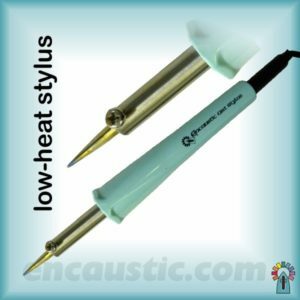 Using Stylus Pro tips with the older single temperature Stylus : The new threaded tips will fit into the old Stylus and and fixed by the normal side screw method.